# amqp_pass sets the password for the AMQP virtual host in rabbitmq-server. If you had deleted your rabbitmq mnesia table you had to do something like this. sudo rabbitmqctl set_permissions -p /chef chef ". *" ". *" ". *"
Create a new keypair. This should result in a pem file output to you. 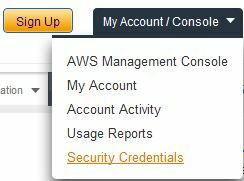 If you lose this file you will not be able to access any ec2 instances associated with it unless you have alternate accounts you can login with.